Looking to buy? Check out what we have in-store or give us a call. At Orlando Golf Cars our service department can help you with just about any problem. If you are in need of repairs click here and see what we provide. Feel free to call us or visit us so we can help you with any golf cart need. 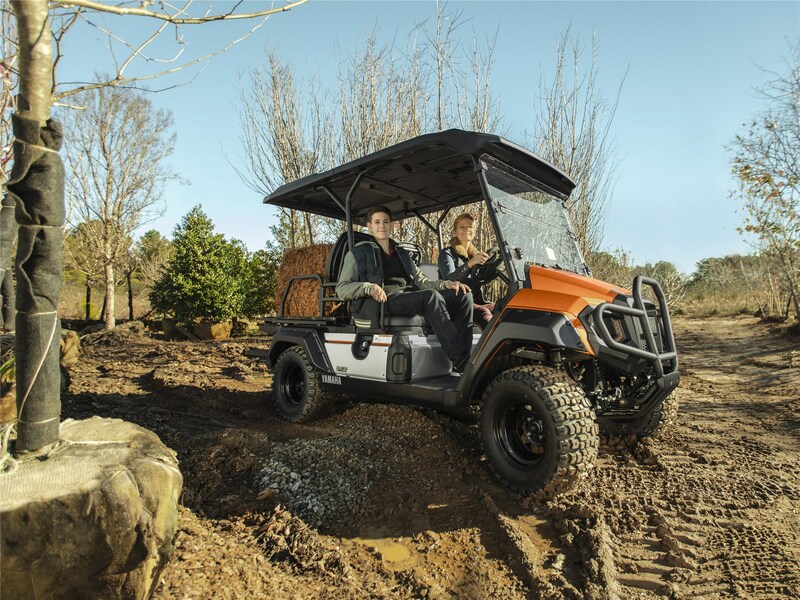 Orlando's factory authorized Yamaha Golf Car and Evolution Electric Vehicles dealer. We offer new carts, reconditioned carts, and used carts to meet all of your needs. We have a rental fleet of carts that consists of 4,6 & 8 passengers and utility beds. Our parts department offers an extensive inventory of parts and accessories for most makes of golf carts. When you purchase a cart from Orlando Golf Cars you can count on quality service in a timely manner with friendly and knowledgeable staff. We offer pick up, delivery, and mobile service to resolve any issue as simple as performing a general service to rebuilding engines and transaxles, or simply to customize most makes of golf carts in Central Florida. Ask about Yamaha Financing options. On or off the course, we continuously strive to bring you the best. And this time, we’ve taken the power and performance you trust and fused it with the ultimate in comfort. Introducing the UMAX Rally™ 2+2, our newest utility car featuring a completely redesigned rear-facing seat kit with large bucket seats. Now you can tackle any terrain with complete ease. Take the family out on an adventure or cruise around town and, when you need more room for your gear, the convertible fold-down seat creates a convenient surface space. UMAX Rally 2+2, another reason why Yamaha is The Easy Choice.